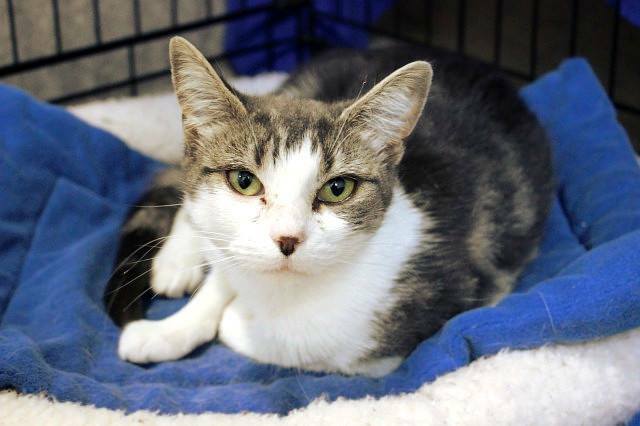 Dot is about 1 year old and came into CPL care with housemate Hyacinth (already adopted) when their owner passed away. Dot is sweet but shy and will suit a quiet new home. Her new owner will need to take extra care during her settling in period as she tends to hide.